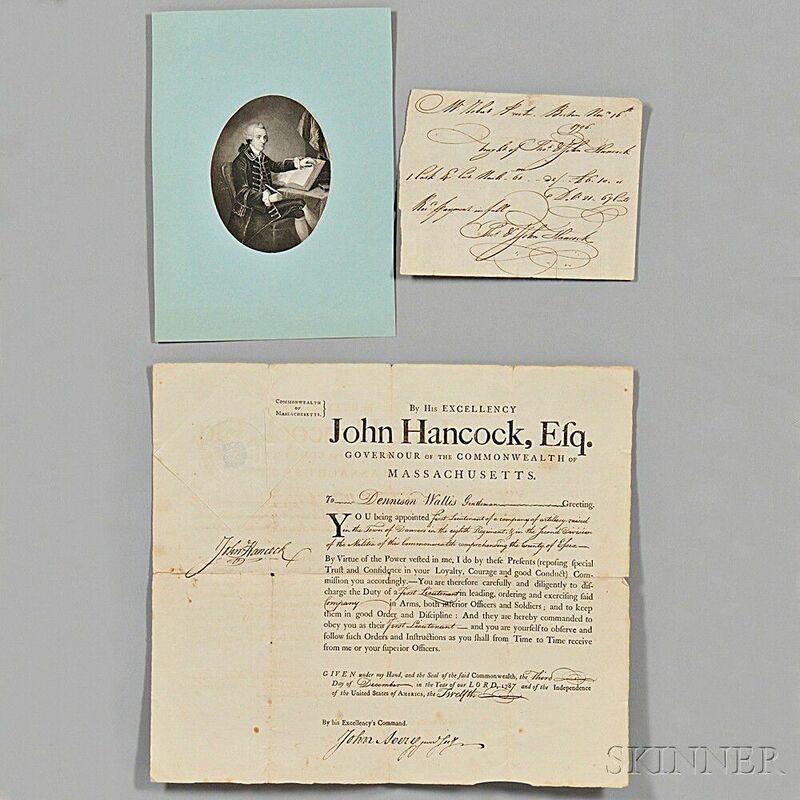 Hancock, John (1737-1793) Signed Military Commission, 3 December 1787. Typographically printed document on paper, fulfilled by hand, sealed and signed by Hancock as Governor of Massachusetts, countersigned by John Avery; appointing Dennison Wallis First Lieutenant of an artillery company in Danvers, Massachusetts. Old folds, somewhat fragmentary at the margins and convergences; one quarter toned on the verso, 15 x 13 in. 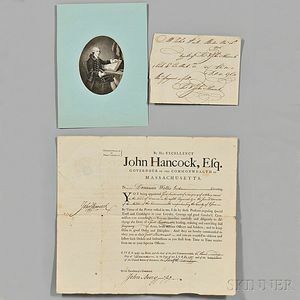 [with] an engraved portrait of Hancock after the Copley painting, and a receipt dated 16 November 1796 signed by other Hancocks.